Thanksgiving is a great time to sit down with your kids and think about all the things you have in your life to be thankful for. 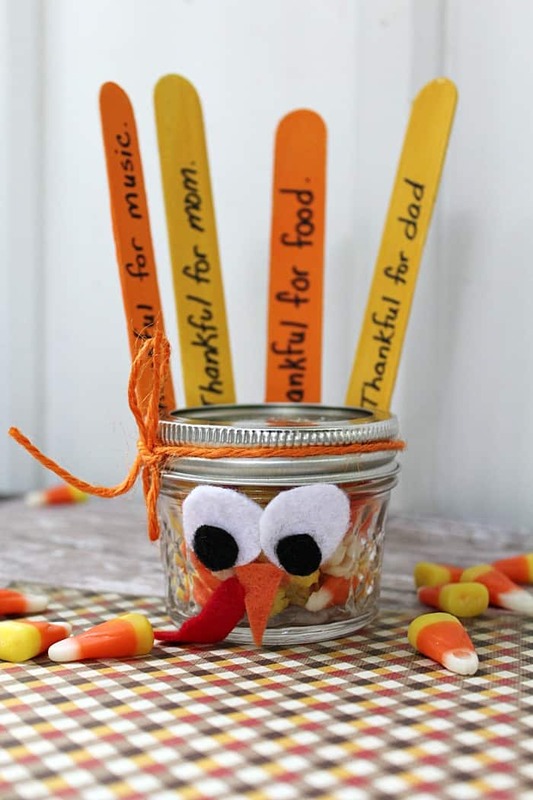 This thankful turkey candy corn craft is a perfect craft idea to help your kids remember what they are thankful for. 1. 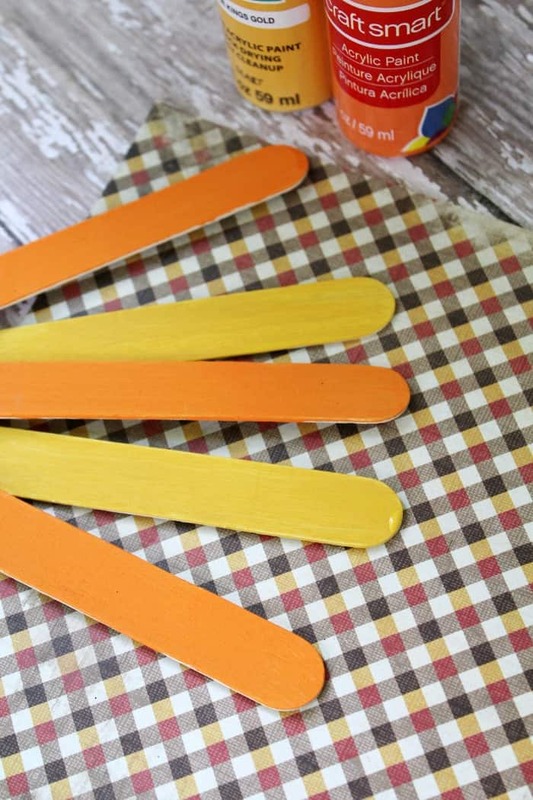 Begin by applying two coats of craft paint to 4-5 wood craft sticks. You can create any color combination you choose. Allow to dry. 2. 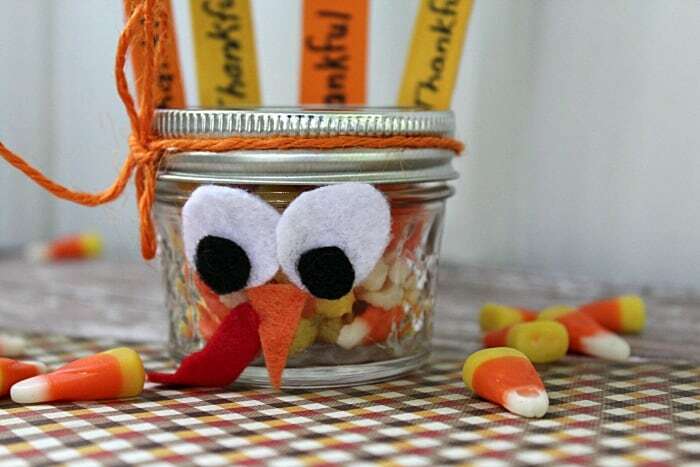 While the sticks dry, prepare your turkey face. Cut out two large white circles from the white craft felt, and two small black circles from the black felt. Layer them to create eyes. 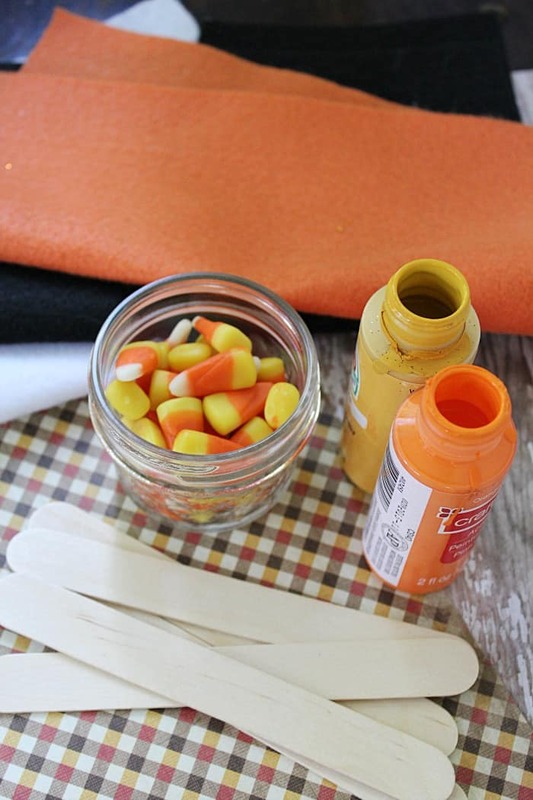 You can then cut out a triangle from the orange felt for a beak, and don’t forget the gobbler using the red felt. 3. Assemble the face on the front using hot glue. 4. 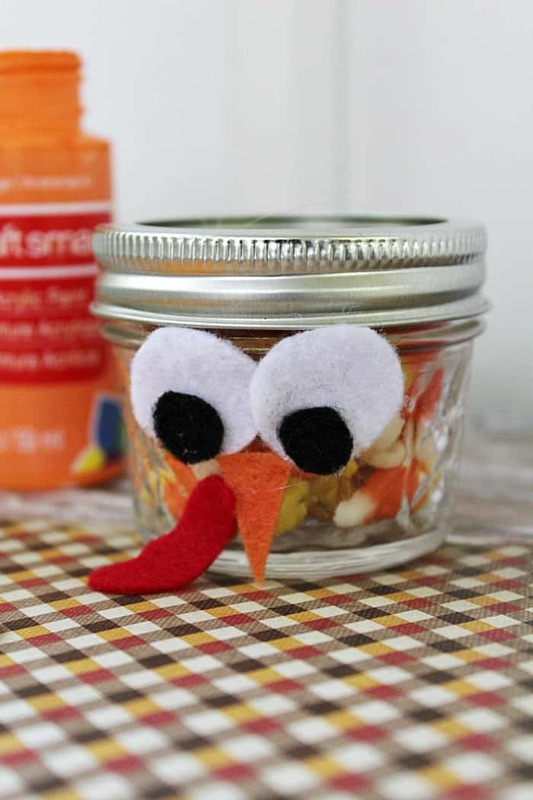 Fill the jar with candy corn candies and attach the lid. Tie a length of twine or ribbon around the top of the lid. 5. 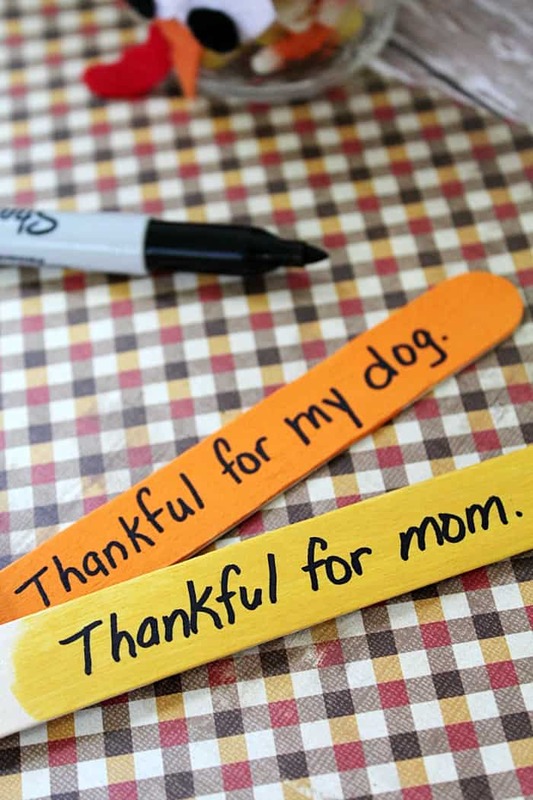 You can now write thankful thoughts on our sticks. 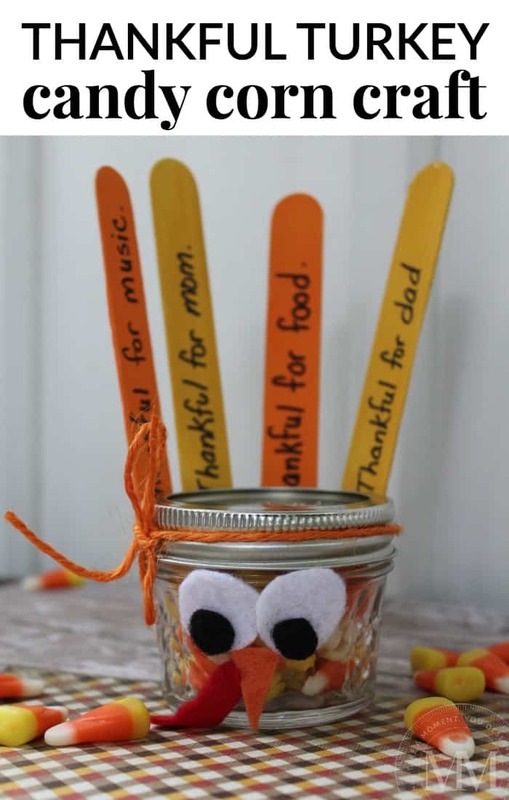 Write one thought on each stick before adding some glue to the ends and sticking them onto the back of the jar lid. Your thankful turkey is now complete! That is so cute! My granddaughter would love making this!